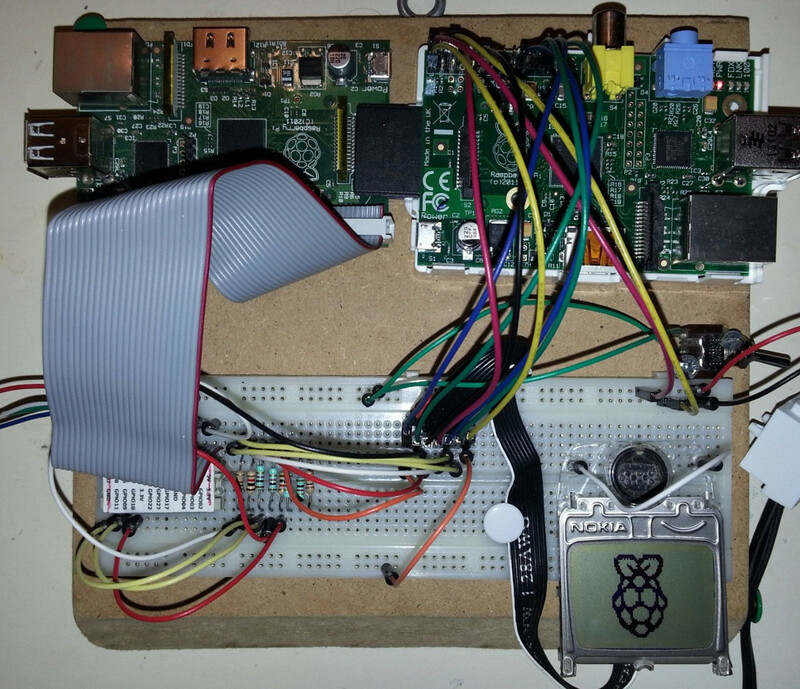 This project turns the Raspberry PI into a logic sniffer that is compatible with sigrok. The logic sniffer runs on "bare metal": it doesn't require Linux to run. The sniffer currently relies on Sigrok for control and signal analysis. Note that there are cheap special purpose logic sniffers on the market with much better specs than listed here. So don't get a PI just to run this software. But if you own several PI's for other reasons (some examples here, and lots of inspiration to be found here) and happen to need a logic analyzer then this project can be of help. The strong points of the PI are yet to be exploited in this project. The HDMI and USB ports on the device make it relatively easy to turn the sniffer into a standalone logic analyzer, making the connection with sigrok optional. That is something a (cheap) special purpose logic sniffer cannot do. Compile the sniffer using the instructions and source here, or setup an SD card using the binary as described above. Just download the tarball, unpack and read INSTALL_BINARIES. See the demonstration below for information how to run the sniffer using sigrok. Warning: the GPIO pins on the Raspberry PI use 3.3V. Do not connect 5V logic, or anything else that isn't limited to 3.3V. And if you do connect something that uses 3.3V (like another PI) then before anything, do connect ground first. Visit http://github.com/tuxyme/metal-pi for more information, source code and a MD5 checksum for the tarball on this site. This photo shows the test setup with two Raspberry PI boards. The revision 2 board on the right runs Raspbian and drives the LCD display with code based on this code by Adafruit (port to Raspberry / bare metal work in progress). The revision 1 board on the left is booted as 'Raspalyzer' and sniffs the LCD clock, data, d/c, cs en reset signals (pin 2,3,4,5 and 8 on the 3310 LCD) while the Raspberry PI logo is drawn on the LCD. The board on the left is connected to a PC using this USB to serial connector. The serial connection is available on the PC (running Linux) as /dev/ttyUSB0. The sniffer is started using sigrok-cli, and the resulting sigrok session data is opened with PulseView. This gives 12 probes on the rev1 board, 16 probes on rev 2 (if using the P5 header). The I2C and GPIO clock pins are reserved for future use. The LCD display is written in 6 lines seen as the 6 broader data bursts on the DIN (data in) line. The shorter data bursts occur when the DC (data/command) line is low. These bursts are commands that place the cursor in the correct position. The +nanks and +infks labels should have been timestamps, but PulseView has a problem reading the correct time from the sigrok session data. This might have something to do with version mismatch between PulseView and Sigrok on my PC. Zoomed in at the end of the sample window showing a sample duration of 33300s. With 100000 samples at 3MHz this should read 33300us. Again, might be the version mismatch. Working with libsigrok from git, installed PulseView from a deb. Zoomed in at the beginning of the sample window showing the nCS (inverted chip select) initially at high level, satisfying the trigger nCS=1. I added debug code to the driver that toggles chip select. This makes it very easy to trigger the sniffer at the right time. Also visible are two bytes sent during DC=low: 0x40 and 0x80, command cursorY=0, command cursorX=0 respectively. Zoomed in on a data section. Clock jitter is visible. No suprise given the bit-banged LCD data. When a stable clock approaches a speed comparable to the sniffer samplerate the same picture can be seen, but then caused by the limited resolution of the sampling. At clock speeds higher than the samplerate the sniffer will miss clock pulses. Using a sniffer can easily become as complex as building one.